Regiment/Service: Welch Regiment 1/5th Bn. Grave Sec.Plot C. Row 4. Grave 4. 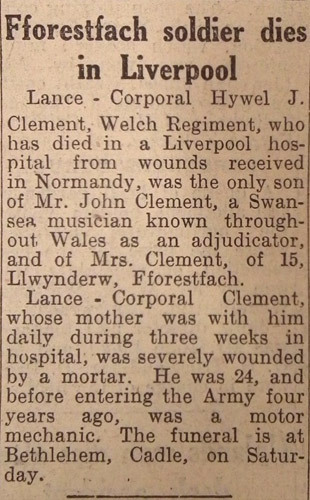 Additional Information: Son of John and Sophia Clement, of Fforestfach, Swansea.